Anybody who has been following (or at least trying to follow) the interminable Brexit trainwreck has probably, from time to time, felt a twinge of muted, inchoate rage while struggling to understand exactly why the Tories and DUP have made such a big deal out of the "Irish Backstop" when the goal of the whole process is to never put it into practice - and why, nearly three years after the historic vote, MPs just can't put their sniping and bickering aside and get on with it. Unsurprisingly, the European bureaucrats who effectively hung their esteemed colleague Theresa May out to dry by refusing to reopen negotiations, even after a third vote on the deal failed the pass, feel the same way. 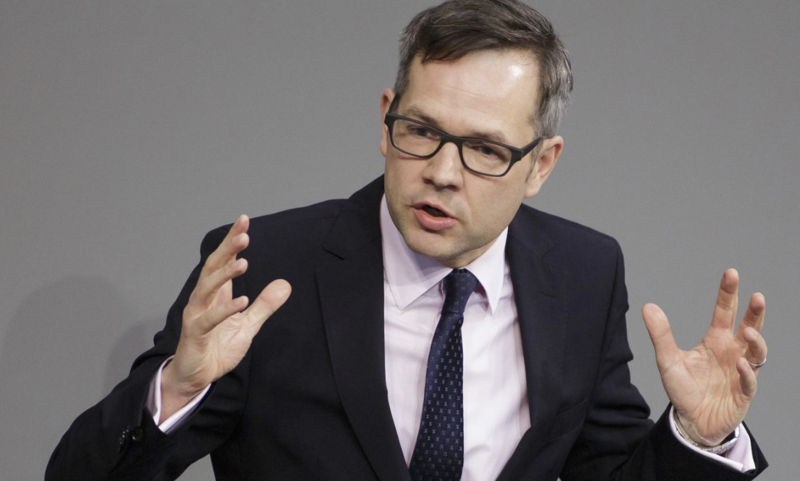 And on Saturday, one senior German official decided to let it all out during a profanity-laced rant delivered during what many had probably expected would be an unremarkable meeting of party functionaries. Deputy Foreign Minister Michael Roth, who has in the past delivered a few politely-worded exhortations that the Commons implement the withdrawal agreement before all hell breaks loose, slammed May and her cabinet as "clueless boarding school graduates" who have been setting the common man up for disaster, per BBG. "Brexit is a big shitshow, I say that now very undiplomatically." Michael Roth said at an event of his Social Democratic Party in Berlin on Saturday, accusing “90 percent” of the British cabinet of having "no idea how workers think, live, work and behave." Roth said it would not be those U.K. politicians "born with silver spoons in their mouths, who went to private schools and elite universities" that will suffer the consequences of the mess. We imagine that will go over well in the Commons on Monday. Roth continued by saying even Shakespeare himself couldn't have dreamed up such an abject tragedy as Brexit. "I don’t know if William Shakespeare could have come up with such a tragedy but who will foot the bill?," I the German diplomat said. Before indulging in a little self-aggrandizement of his own by declaring that Europe is "life insurance" during "times of crisis," before insulting members of the populist movement that helped make Brexit a reality. “Europe is a life insurance in times of crisis and Europe brings the opportunity to cross borders, destroy walls, bring people together and foster solidarity,” Roth said. While Roth probably failed to pick up on the condescension and self-righteousness inherent in his comments, in the UK, MPs haven't been doing themselves any favors on this front, either. Take for example, this snippet from a Commons debate earlier this week that went viral after Jacob-Rees Mogg taunted one of his colleagues for attending Winchester College instead of Eton. Nick Boles says he can distinguish between confidence in the Government and its Brexit policy. He adds: " I have been consistently voting with the Government, in which I have confidence, to give effect to that decision and he has been voting against."